12 pack of birthday cake flavored Rice Krispie treats with white chocolate candles and fondant "Happy Birthday" plaques. 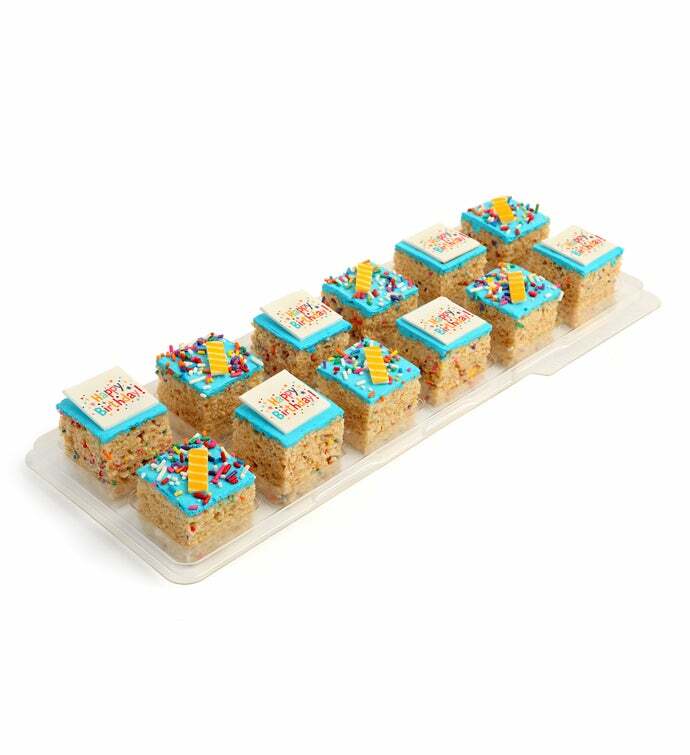 Delicious birthday bites --makes a great gift! !